A heavy transport aircraft of the Indian Air Force carrying seven high-power pumps landed at the Assam's Guwahati airport, from where they high-preassure pumps will be transported on road to Lumthari village in Meghalaya, where 15 labourers trapped in a flooded rat-hole coal mine. 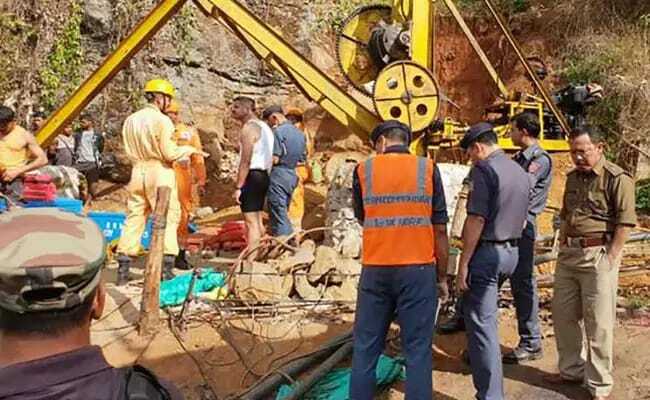 The plane took off with the heavy tools from Bhubaneswar in Odisha earlier this morning, after low-capacity pumps used by the National Disaster Response Force or NDRF turned out ineffective in extracting water from the collapsed mine in Meghalaya's East Jaintia Hills. NDRF senior officials said water from an adjacent abandoned mine was flooding the rat-hole mine, making it unsafe for their divers to operate. 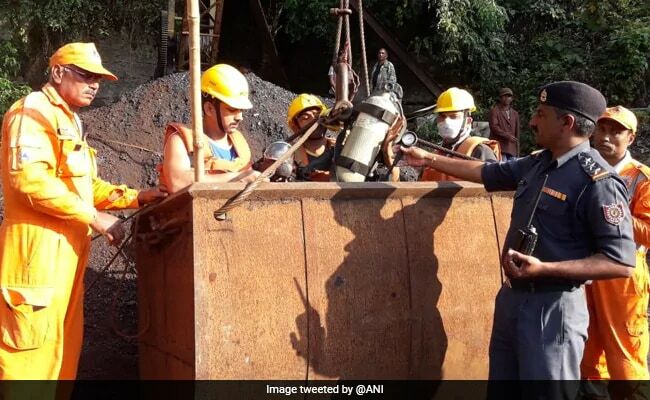 The high-power pumps arrived three weeks after the mine collapsed on December 13..
Twenty one personnel of NDRF and 10 pumps have been airlifted to Guwahati by Indian Air Force. The Air Force aircraft has landed at the Guwahati airport. The pumps are said to be very heavy, and so are expected to be transported to the site through road, official sourced told NDTV. The high-capacity pumps, supplied by Coal India, are being transported by road, sources said. These special pumps are being brought from Coal India mines in Asansol in West Bengal and Dhanbad in Jharkhand. These pumps are not available even in Coal India's mine in Upper Assam, nearer to Meghalaya. Low-capacity pumps used by the National Disaster Response Force or NDRF turned out ineffectual in extracting water from the collapsed mine. 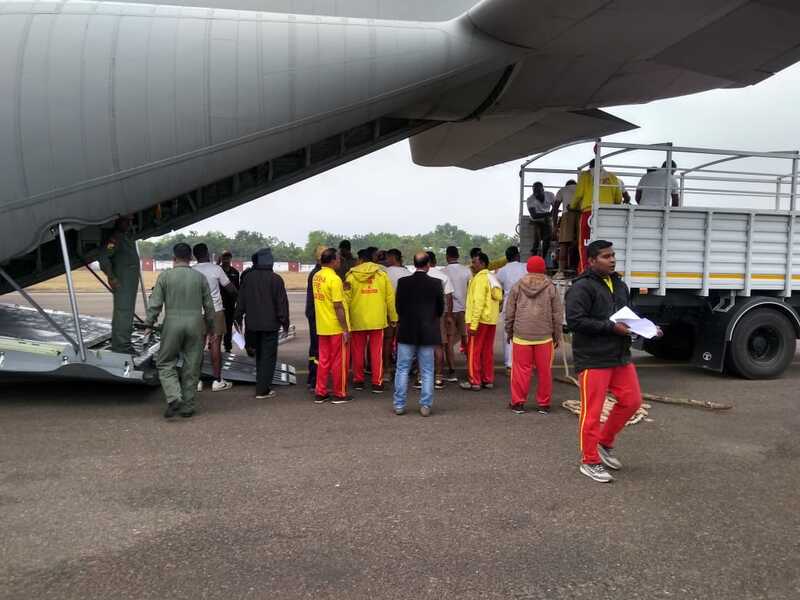 An Indian Air Force C-130J transport aircraft has taken off from Bhubaneswar carrying NDRF personnel and equipment to help in the rescue efforts, news agency ANI said quoting a source. The National Green Tribunal has banned unsafe coal mining in Meghalaya since 2014 based on a petition by an NGO, which had alleged that a river in Assam had become acidic due to unregulated mining of coal. But illegal mining continue in the state, putting lives at risk, say locals. A group of Congress lawmakers are expected to visit the mine in Lumthari village today, party sources said. Two teams from Kirloskar Brothers Ltd - the private pump manufacturing company, which has volunteered to provide equipment to drain out water from the rat-hole -- arrived at the site on December 27. "We are deeply concerned about the trapped miners in Meghalaya and are ready to help in whichever way possible. We are in touch with the officials of the Government of Meghalaya to offer our assistance in this regard," Kirloskar Brothers Ltd said in a statement late on December 26.